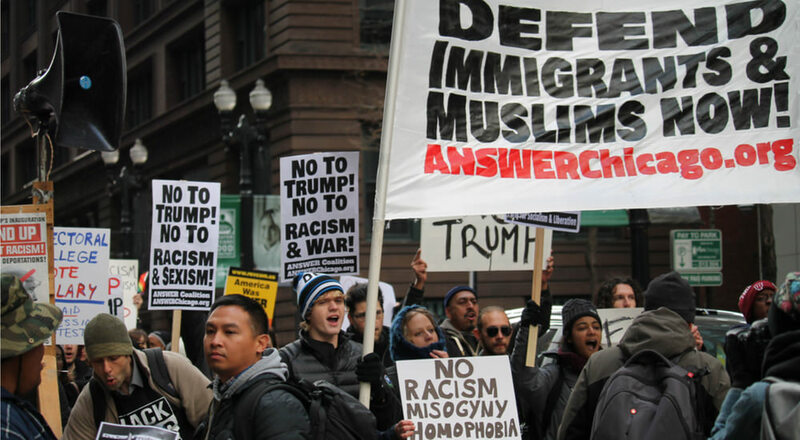 Editorial credit: vnews.tv / Shutterstock, Inc.
Those immigrants that thought for two minutes would not have gone to the much touted protest “day without immigrants.” If they got fired for so doing, they will blame Trump, and not the msm that conned them. They were programmed and hypnotized by the old con and fallacy of argumentum ad verecundiam — they relied on “experts” with power, prestige and money to think for them. Those who are unable to think for themselves are never of use to a legitimate, productive, employer, and even less use if they try to produce for themselves. But they are of use, and being used, by the socialists in charge of the msm — as martyrs, malcontents and new recruits for their army of neerdowells now called sjw mercenaries who are now even more dependent on the welfare state. Anyone who took two minutes to think it through would have known that the tactic was obvious and the result was inevitable. Immigrants, like many of the “left” are susceptible to the influence of “experts.” And “social experts” are based on opinion polls, they have no basis in real science, so they depend on having people “believe in them” and they depend on the fallacy of argumentum ad verecundiam for people to “believe in” the power, prestige and money of the media instead of checking out the truth and thinking for themselves. Neither the left, the msm, nor those who have been fired are “innocent.” The left is irrelevant because they rely on the msm who is irrelevant because they are discredited but con the ignorant immigrant who pays the piper and plays the victim. It is their own fault, for paying attention to “experts” with a political agenda. They avoided the effort of thinking for themselves. Now these lazy Alinskyites will try harder than ever to shortcircuit thought, personalize the culprit, blame others for their failures and always be conned by power, prestige and money. They will always be victims, they will always blame others — because it is the lazy, easy thing to do. They would rather die than think. And msm admits their tactic and their goal. To paraphrase Mika Brzezinski “We can’t let Trump tell the people what to think, that’s our job.” It is not, he is not doing it, and she is doing it very badly to the damage of all. From msm’s perspective, Trump is doing something much worse, he is letting people think for themselves, and take the consequences if they don’t. The enemy is socialism, and the only cure is to think for yourself.